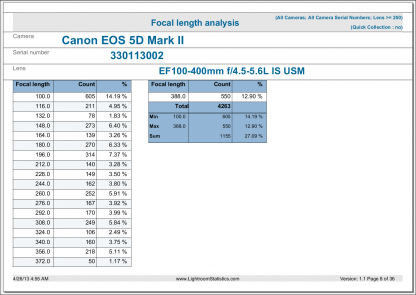 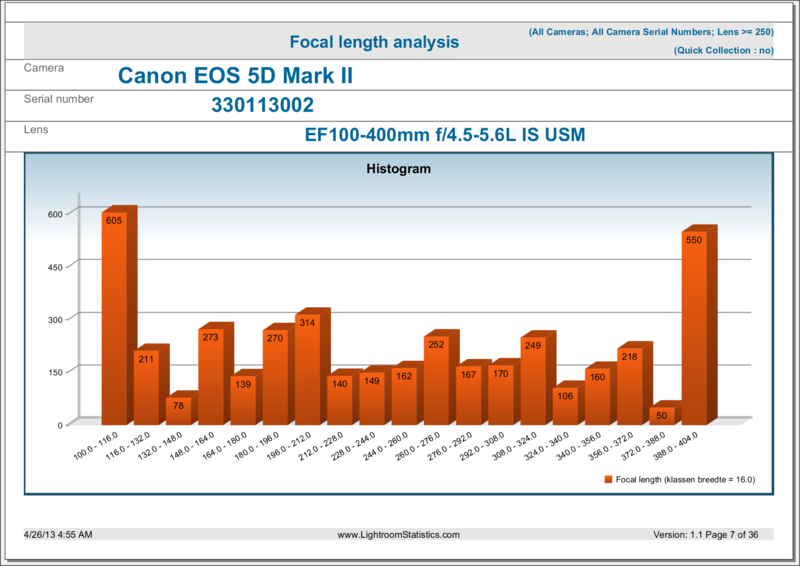 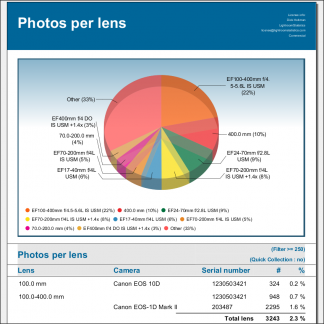 Buying a new camera or lens, analyzing your camera usage? 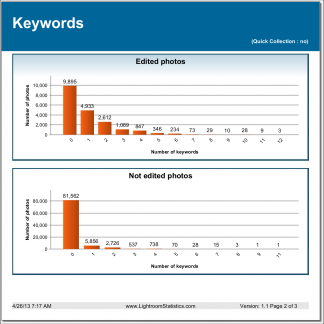 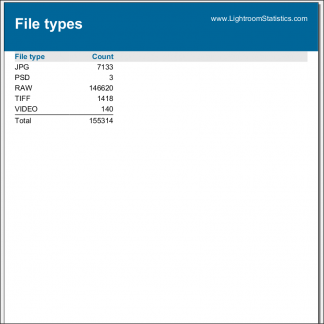 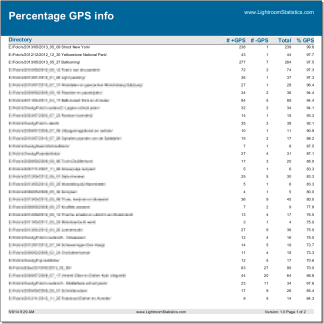 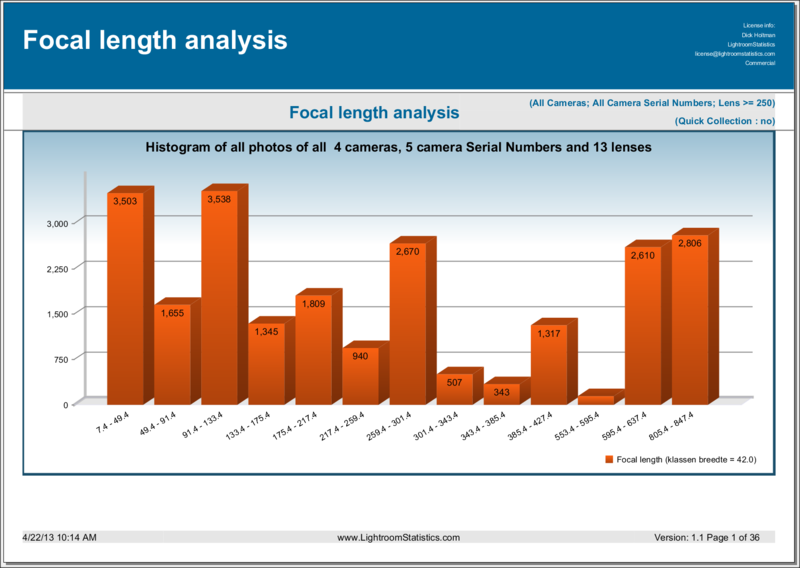 This report contains an in-depth analysis of the Focal length settings in bar chart and table form for your entire catalog or the photos in your Quick Collection. Sometimes it is extremely handy to know what focal length settings you used on the photos on your collection. 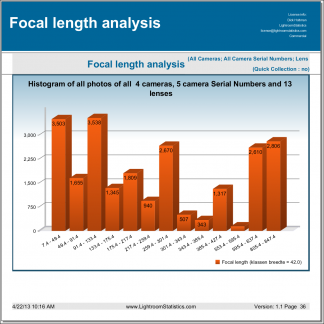 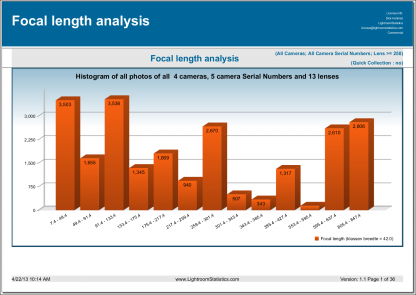 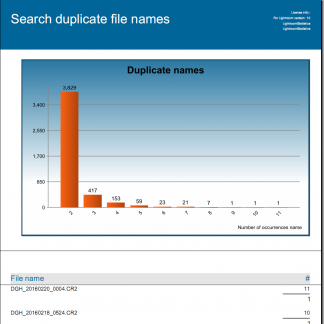 Analysis of the focal length in bar charts and tables.